When it comes to Student Financial Literacy, nothing can surpass the one-on-one tutorials that mom and dad can provide in the comfort of their home at the kitchen table. However, as young college students move on in life (and usually move out of mom and dad’s house), they need to know that there are a number of solid reliable financial tutorials available 24 hours a day – 7 days a week that they can turn to for financial guidance. 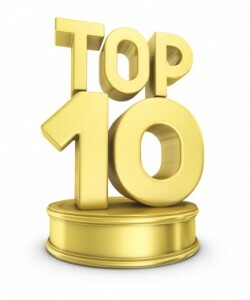 The following represents CheapScholar’s picks for the Top Ten Student Financial Literacy Resources on the web. Enjoy! This student financial literacy resource is provided by the National Endowment for Financial Education (NEFE). This non-profit foundation has been around for more than 30 years and is committed to educating Americans on a broad range of financial topics and empowering them to make positive and sound decisions to reach their financial goals. 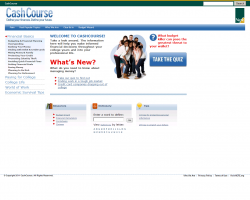 CashCourse.org serves as a great resource for students as it speaks to many of the common financial pitfalls they may be encountering during their college years. Their motto is “Where Fun Meets Financial Literacy Education”. 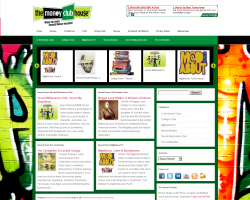 I have never heard Financial Literacy and Fun in the same sentence before but the Money Club House helps to bridge the two. They teach kids, teens and adults that learning how money works can be fun, motivating and life changing. Their hands-on activities, projects and games help to shape a curriculum geared toward today’s 21st century learning styles. Their online presence provides informative articles and educational testimonies. 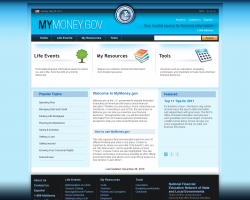 This up and coming financial literacy web resource is the brain child of Mary Johnson. 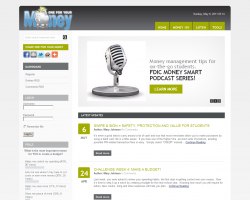 By visiting this site, college students can gain access to a one-stop-shop for financial tips and money management information. Mary brings together videos, articles, and other financial tools on One For Your Money to keep things new and exciting. No… this is not the federal treasury where all the U.S. currency/coin is created. 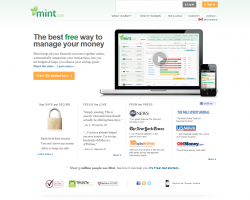 Mint.com is a free online budgeting tool that provides the necessary tools for people to meet their financial goals. They attempt to make everything simple and streamlined when it comes to your savings, checking, investment, mortgage and automobile loan goals. If you are looking for a three pronged approach to financial literacy, then you don’t have to look any further than EducationCents.org. They utilize an interactive website with a self-paced curriculum and partner it with presentations and a printable guide to help get visitors on the path to financial literacy. It is all free and it is underwritten by the Colorado Department of Higher Education. Did you ever purchase something and then have regret about the amount of money you spent? If so, then you may want to check out Spendster.org. It is a nice “reality check” in the sense that it serves as an outlet for folks to share short videos depicting their outlandish purchases and reflect upon why they shouldn’t have. They currently have over $2 billion dollars of “lousy” purchases tracked on their website. Spendster.org is a great forum for people to talk about adopting good spending habits. What a great name! Jumpstart’s tag line is “Financial Smarts For Students”. 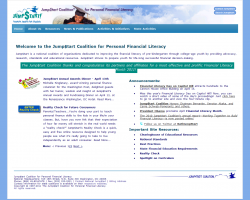 JumpStart is a national coalition of organizations that are dedicated to improving financial literacy for students between the ages of kindergarten and college. They provide a plethora of online activities and initiatives to help students establish a foundation focused on financial literacy. Ever hear of the Federal Reserve Board? Yep.. that is one of the first permanent members of the JumpStart coalition. Great list, Doug. 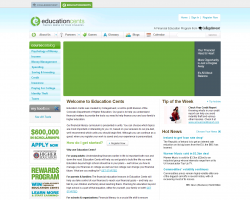 One site I’ve always sent my clients to is the US Department of Education; it may not be a financial literacy hub per se, but it does provide an excellent overview of the types of funding available from the federal government as well as the repayment options available to students once they enter repayment. Very informative. Another one that I’ve checked out is cuStudentLoans.org – it’s a group of not-for-profit credit unions offering student loans but with a key focus on financial literacy. 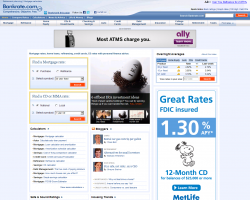 Just found another site that should get an honorable mention as being a student financial literacy resource on the web. The web resource is sponsored by VISA and the best feature I like is the interactive games like Financial Football or Financial Soccer. I think college students can definitely relate to those sports. 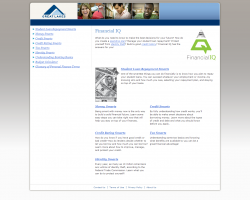 On the site they have financial literacy articles, financial literacy modules and courses, career center, a full financial literacy library, a discussion forum regarding financial literacy, videos on the top financial aid questions and much more. Definitely should earn a mention in Top Student Financial Literacy Resources on the web. Thanks for all the information! I am starting to become more involved in this program, and I love all the information and websites provided by all of you! Thank you for your help!